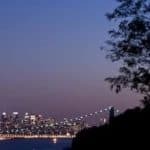 Diving with sharks, helping with a cattle round-up, watching a battle reenactment, and attending pow wows aren’t the first things that come to mind when someone mentions New York. However, just a short drive from the skyscrapers and bustle of the nation’s most populated city, the state of New York has glorious white sand beaches, vast farmlands and the Adirondack Park, the largest park outside of Alaska, with mountains that peak at more than a mile above sea level. Whether you want to step back into the 16th century at the Sterling Renaissance Festival, bask on an award-winning beach, or race around the mountains at adrenaline-pumping speeds, look no further than New York State. 1. Watch out for flying Cannon Balls. Cannons and muskets are actually fired at Revolutionary and Civil War re-enactments around the state, such as at the Civil War Heritage Days at Schuyler Flatts (August 16-18th) and at the Civil War encampment at Congress Park in Saratoga Springs (September 13-15th). General and Mrs. Ulysses Grant, General Robert E. Lee and President Abraham Lincoln are expected to attend. 2. Go for the Gold. 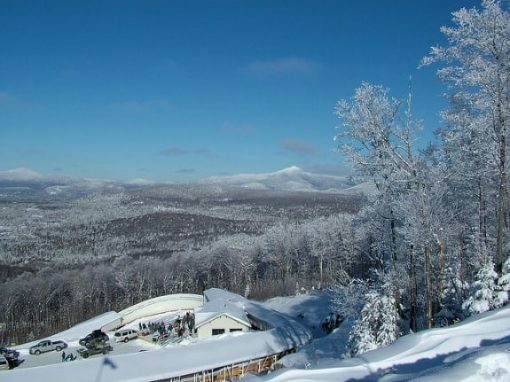 Lake Placid has become a prime year-round training ground for athletes thanks to facilities built for the 1980 Winter Olympics. Throughout the year, your budding skating Olympian can work at perfecting their own triple Lutz on the indoor Olympic Center rink and watch the next crop of champion hopefuls practice their soaring jumps on simulated snow at the Olympic Jumping Complex. Not to be missed, for those four feet and taller, is the terrifying thrill of bobsledding — on wheels in warm-weather months — with a professional driver down the Olympic track. Survivors are rewarded with a bobsled lapel pin and membership in the U.S. Bobsled and Skeleton Federation. And after all that excitement, nothing beats a dip in the lake! While you’re in the Adirondacks region: Choose from 3,000-plus lakes and ponds and thousands of miles of mountain biking, hiking and canoe trails, splash into Great Escape and Splashwater Kingdom, take a steamboat cruise at Lake George, follow the scenic Lakes to Locks Passage along Lake Champlain and explore Fort Ticonderoga. 3. Create your own fish stories. 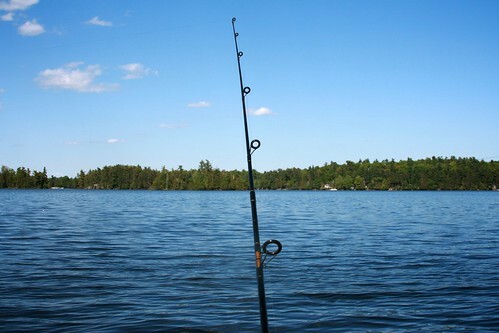 The Thousand Islands-Seaway region offers rare opportunities to catch trophy-sized fish, including lake trout, king salmon and walleye on Lake Ontario and Muskie, northern pike, native wild carp, bass and the renowned Lancaster Perch on the St. Lawrence River. Go with a local guide, or better still, rent a fishing skiff, pontoon or runabout and stop at secluded beaches, restaurants, resorts, campgrounds, museums and parks, many accessible only by boat. Among the many lovely beaches are those along the warm water inlet of Lake of the Isles, Sandy Island Beach and Robert Moses State Park Beach. Along the 500-mile coastal drive or cruise while counting the nearly 2000 islands, large and small. While you’re in the Thousand Islands-Seaway region: Enjoy the excitement of both whitewater and calm rafting on the Black River, see historic 1812 military sites in Ogdensburg, Sackets Harbor and Oswego, visit a true American “hunting lodge” castle and stay in historic lighthouse. 4. Play like it’s 1585. Shoot a crossbow, wield an ax, ride a horse, a carousel or an exotic camel, and participate in enforcing justice by hurling tomatoes at a restrained rogue as you relive 16th century English village life. It’s all part of the Sterling Renaissance Festival, held every weekend from July 6 to August 18 in Warwick, in the Finger Lakes region. At any moment, a sword fight might break out, a sheriff and his henchmen might begin harassing bystanders or a group of pirates might break into a bawdy song. Traditional music, plays, crafts demonstrations and food are also on tap. Dress your family in period garb — you won’t be the only ones — to really get into the spirit. 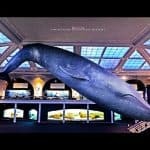 While you’re in the Finger Lakes region: Watch glass blowing demonstrations at the Corning Museum of Glass, enjoy the interactive exhibits and marvel at the toy collections at Rochester’s Strong Museum of Play, and step back to the 19th century at the Genesee Country Village living history museum. 5. Ride America’s longest, fastest zipline. The SkyRider at Hunter Mountain in Hunter traverses almost five miles of Catskills forest at speeds of up to 55 miles per hour and heights up to 600 feet off the ground. This is designed for thrill seekers over 10 years old, who weigh at least 100 pounds. The five ziplines run in pairs, encouraging participants to interact and race. The zipline course, the largest in North America and second largest in the world, takes about three hours from start to finish. Families who haven’t tried ziplining before may prefer the mid-canopy tour, which includes six shorter ziplines, rope bridges and a thrilling rappel and runs at about 60 feet off the ground. 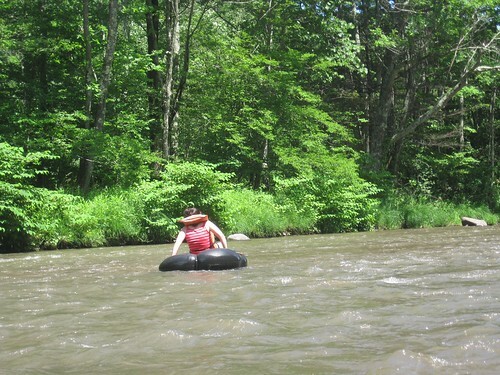 While you’re in the Catskills area: Ride the thrilling Black Vortex at the Zoom Flume Water Park in East Durham, go tubing down Esopus Creek (in photo), or take a scenic ride on the Catskill Mountain Railroad in Mt. Tremper. 6. Make like a monkey. In the Central New York town of Howes Cave, Howe Caverns, known for bringing visitors 156 feet below the Earth’s surface to witness a fantastic world of stalactites and stalagmites, now has above-ground thrills. The Sky Trail, a ropes course resembling a giant 30-foot tall jungle gym, challenges kids (at least 48 inches tall) and fit parents to scramble like monkeys through more than 25 challenges. While there’s no danger of falling—you’re clipped onto a sliding track—you might be embarrassed if you haven’t been doing your pull-ups! Less challenging physically, but equally thrilling is a four-station zipline. While you’re in the Central New York region: Cruise or bike along the Erie Canal. In Cooperstown, pay homage to your favorite team at the National Baseball Hall of Fame and Museum, then ride the Empire State Carousel and see the twin Merino lambs born this spring at the Farmers’ Museum, a recreated 19th century village and farm. 7. Attend a real Pow Wow. Dancers come from across the country to compete in authentic and colorful Native American Dance and Drum Competitions at the annual Seneca Allegany Veterans Pow Wow. Native American art, craft and food vendors are also featured. This year’s gathering will be held on July 20 and 21 at Veteran’s Park in Salamanca, and as always, families are welcome. Nearby, the Seneca-Iroquois National Museum displays traditional clothing, a reproduction of a traditional longhouse and paints a picture of pre-contact Native American life in the region. While you’re in the Chautauqua-Allegheny region: Explore Amish country, where your kids will marvel at life without computers or cars, thrill to the Aerial Park and zipline at Holiday Valley, catch the Ellicottville Championship Rodeo July 4-7, and attend a free lakeside show at Chautauqua Institution. 8. Feel the power of Niagara. The thunderous power of these renowned falls is astounding. Kids will enjoy cruising right up to the cascade on the Maid of the Mist and walking to the base on the Cave of the Winds walk. And they’ll rave about the Whirlpool Jet Boat Tour, which leaps, pirouettes and bounces its way to the Niagara Falls whirlpool and through the Class V rapids of the Niagara Gorge at speeds up to 55 miles per hour. Kids need to be 44 inches tall for this adventure ride, rated among the top five in North America. A covered jet boat accommodates smaller and less adventurous travelers. While you’re in the Greater Niagara region: Splash into the water park and wild rides at Darien Lake Theme Park, the state’s largest; see why Letchworth State Park is called the “Grand Canyon of the East;” and on May 10-12, 17-19, Thomas The Train fans can hop aboard in Medina for a 25 minute ride with all of their favorite characters. 9. Feed the chickens, milk the cow. In the Hudson Valley, less than an hour by car from midtown Manhattan, tenant farmers and other residents of Phillipsburg Manor in Sleepy Hollow transport families to the year 1750 to help with chores such as milking cows, collecting eggs, threshing wheat and shelling beans. For example, in the working gristmill, Caesar, an enslaved African, teaches the art of milling corn and shares the seldom told story of enslavement in the colonial north. Even the animals wear period garb since they’re authentic historic breeds of oxen, cows, sheep and chickens. While you’re in the Hudson Valley region: Try blacksmithing, brick making, spinning, weaving and other 18th century activities at Van Cortlandt Manor in Croton-On-Hudson, teen and parents can share their passion for cooking at The Culinary Institute of America, earn a Junior Secret Service Badge (7 to 12 year olds) while touring the Franklin D. Roosevelt National Historic Site in Hyde Park, and enjoy “Irving’s Traveling Totes” bag of games, scavenger hunt and picture book at Sunnyside in Tarrytown, Washington Irving’s landmark home. 10. Build a Sandcastle to the Stars. Its warm waters and seven-miles of pristine, dune-backed, powder-soft sands earned Coopers Beach in Southampton the top spot on Dr. Beach’s list in 2010 (which means Dr. Beach retires it from future consideration). As might be expected in a haunt of the rich and powerful, there are great eateries, a well-maintained bathhouse, and parking just a few steps from the shore, making this a hassle-free, spot to build sandcastles, soak in the surf and just maybe, spot some of your favorite celebs. While you’re on Long Island: Try surf fishing at Montauk Point State Park, relive rural 18th century life at Old Bethpage Village Restoration, catch the waves–and a concert—at Jones Beach, and, at the Atlantis Long Island Aquarium in Riverhead, train seals and sea lions and view predator sharks from the safety of a shark cage. Where’s your favorite New York family vacation destination?